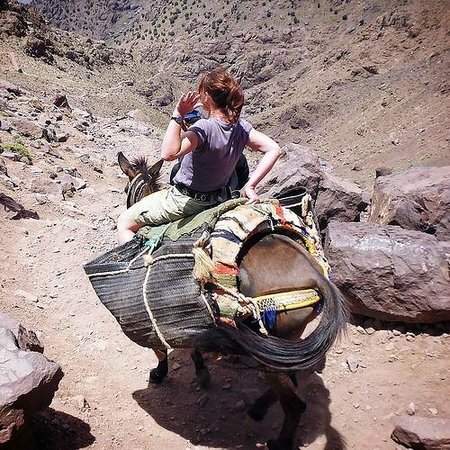 Mules are a part of Berber life and they are vital for transporting supplies up the mountains and to remote communities, and also for carrying the occasional tourist! All rides starts in Imlil village center and may head in any direction towards Imlil, Azzaden or Imnane valleys. 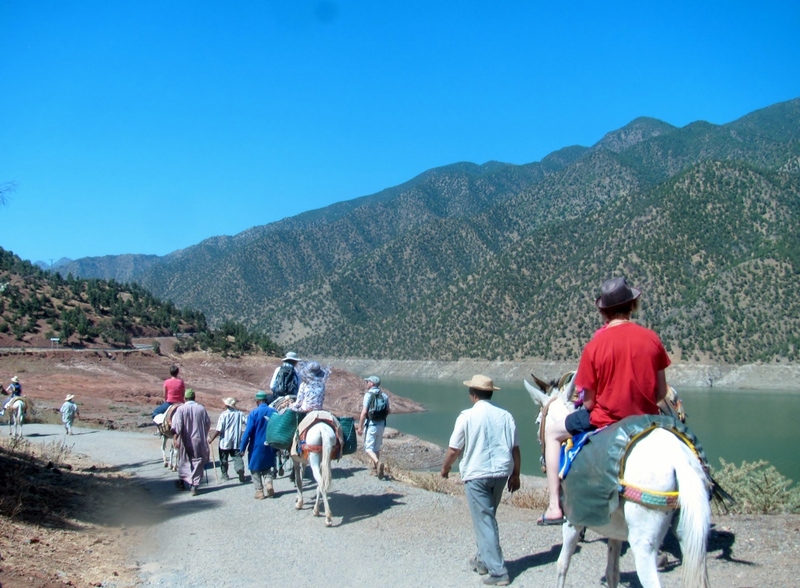 To the village Armed via Targa Imoula and Achain, lunch at a Berber house or outdoors close to the river. Starting from Imlil and climbing towards Tizi n’Tamaterte, a high pass at 2297 m altitude from where you will see the spectacular Imnane & Ait Mizane Valleys . Lunch included .Imnane & Ait Mizane Valleys and, of course the Atlas Mountains. 4 hour ride (Imlil – Tizi Mzik – Imlil). Start from Imlil towards Tizi Mzik, with stunning views above Azzaden valley and back towards the Imlil valley itself. Full day ride (Imlil – Tizi n’Tamaterte – Imnane – Imlil). Starting from Imlil and climbing towards Tizi n’Tamaterte, a high pass at 2297 m altitude from where you will see the spectacular Imnane and Ait Mizane Valleys and of course the Atlas Mountains. Continue on until Tighrine for lunch before heading down the Imnane valley passing through many Berber villages. Then trek up to the pass Tizi Agessiwal before returning to Imlil. Lunch included.Imnane and Ait Mizane Valleys and, of course the Atlas Mountains. Continue on until Tighrine for lunch before heading down along the Imnane valley passing through many Berber villages. Then trek up to the pass Tizi Agessiwal before returning to Imlil. INCLUDED: Pick Up From Your Hotel In Marrakech and Drop You In Hotel In Marrakech, Private Transport, Guide Speak English, Mule Ride, Lunch, Mineral Water.